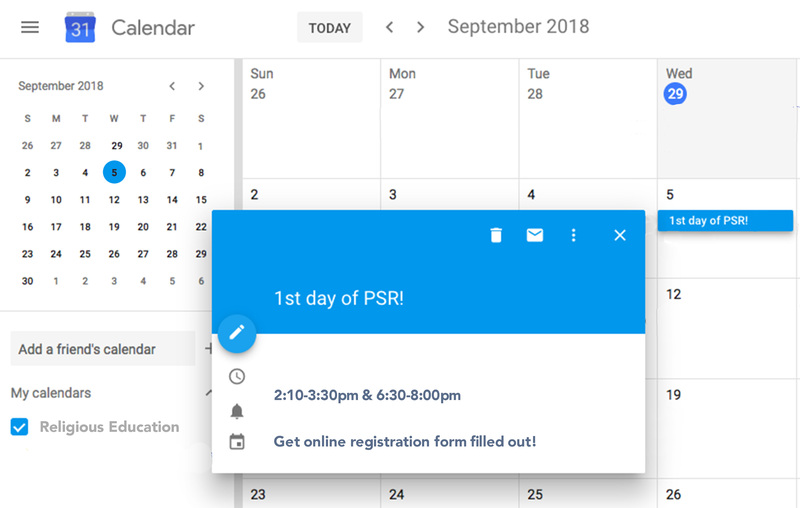 Fill out our NEW online Registration form for PSR today! St. Michael’s Parish School of Religion (PSR) is set to start on Wednesday, September 5th! We MUST have your registration forms before students can participate. After completing this quick form, you will receive a confirmation email at the address you provide. You can bring payment for registration fees to Mass or send it with your student on the first day. Find the NEW St. Michael PSR online registration form here. Elementary Grades are led by teachers across the street from Haderlein directly after school on Wednesdays and are released at 3:30pm. How many times in my life have I wanted to ‘give up’ doing something when it was too hard for me to understand or too physical for me to endure. The news about the church in Pennsylvania last week was terrible. There are no excuses for allowing that kind of abuse to be tolerated or continued. And we know it isn’t just in Pennsylvania, but this is a disorder that has infected the Catholic Church across the country and around the world. St. Paul wrote to the Ephesians: How great is the hope to which we are called! This is a time to be called to that hope because our church will be healed from this and our church will be changed for the better because of this. So, what can we do beyond staying committed, with hope? We can be part of a church committed to healing and to reaching out to those who have become disillusioned, and disgusted. It won’t be easy, but it will be blessed by the Spirit working among us so that we might be more of the church we are called to be. In today’s gospel, Jesus looks around as disciples are drifting away, leaving, and says to his apostles, are you leaving, too? Peter answers for the twelve, and for us: To whom would we turn? You have the words of eternal life. I will not give up on God; as has been said by many, we come to church for God. I do not know how any of you were affected by the recent happenings, but know that the church has endured since the time of Christ and will continue with the guidance of the Holy Spirit, in spite of our humanness.